The present research paper proposes and develops a Cloud computing based Spatial Data Infrastructure (SDI) Model named as CloudGanga for sharing, analysis and processing of geospatial data particularly in River Ganga Basin management in India. The main purpose of the CloudGanga is to integrate all the geospatial information such as dam location, well location, irrigation project, hydro power project, canal network and central Water Commission gauge stations locations related to River Ganga. CloudGanga can help the decision maker/ planner or common users to get enough information for their further research and studies. The open source software (Quantum GIS) has been used for the development of geospatial database. QGIS Plugin has been linked with Quantum GIS for invoking cloud computing environment. It has also discussed about the various overlay analysis in CloudGanga environment. In the present research, machine learning approaches are also used in a R tool for well locations which are associated with the basin of River Ganga. Spatial Data Infrastructure (SDI) has facilitated the sharing and exchanging of geospatial data holding by different stakeholders. 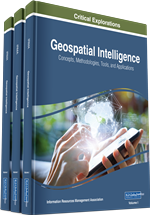 It has been initiated to create an environment that enables a wide variety of users to access, retrieve and disseminate geospatial as well as non-spatial data in a secure way (Georis-Creuseveau et al., 2016; Smith et al., 2004). The technological growing need to organise the data across various disciplines and organisations and also the need to create multi-participant, decision-supported environments have resulted in the concept of SDI. It enables users to save resources, time and effort when trying to acquire new datasets by avoiding duplication of expenses associated with generation and maintenance of geospatial data (Giuliani et al., 2016; Coleman et al., 2016). SDI can be used for decision making, storage of various kinds of geostial data, bringing data and maps to a common scale as per the user needs, superimposing, querying and analyzing the data and designing/ presenting final maps/ reports to the administrators and planners (Yue et al., 2016; Senaratne et al., 2017; Koswatte et al., 2015). The utility of SDI for decision making and planning of land resources has become widely popular and is being used for a wide range of applications (Pun-Cheng et al., 2016; Mwange et al., 2016). There are five important components of SDI model which have been encapsulated. The component of SDI Model has been shown in Figure 1. In the dynamic nature of SDI Model, technologies, polices and accessing network are the core dynamic components in which people and data are the static components (Georis-Creuseveau et al., 2016). SDI Model can play an important role in various applications such as environmental monitoring, natural resource management, healthcare, land use planning and urban planning. SDI integrates common database operations such as query formation, statistical computations and overlay analysis with unique visualization and geographical functionalities. These characteristics distinguish SDI from other information systems and make it valuable to a wide range of public and private enterprises for explaining events, predicting outcomes and designing strategies (Barik & Samaddar, 2014a; Barik & Samaddar, 2014b). SDI has also played an important role in mineral resources, water resources and coastal management in which it has potential to share and analyse all the hydrologiacal data, coastal data and mineral data related to geospatial data in a common platform. SDI models provide the possiblity to improve the spatial dimension of coastal zone aswell as water resources management. SDI models can allow accessing interoperability of data from river, coastal, marine, and terrestrial environments (Strain et al., 2004; Hamylton & Prosper, 2012; Idrees, 2015). For seamless development of any SDI model, it has been integrated with cloud computing which has been merged to perform added value services that give rise to geospatial cloud computing. The geospatial data have rich information about temporal as well as spatial distributions. In traditional setup, we send the data to the cloud where these are going for further processing and analysis (Yang et al., 2017; Yang et al., 2011).